This app allows you to find suitable ultrasonic sensors for your specific application. It provides detailed sensor information and user manuals. No internet connection is required to run the app (apart from updates). 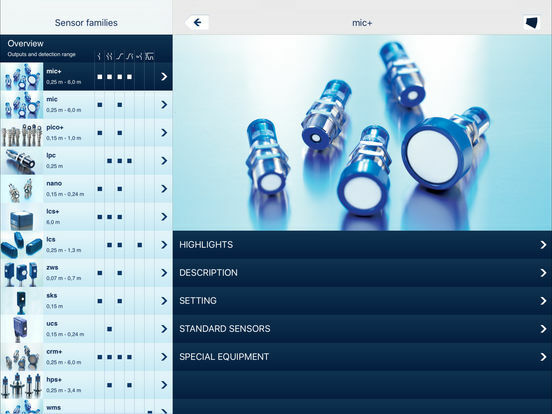 The app includes product catalogue and datasheets for ultrasonic sensors made by microsonic. microsonic specializes in development, manufacturing and distribution of innovative ultrasonic sensors for industrial automation technology and for use in commercial vehicles. 1. 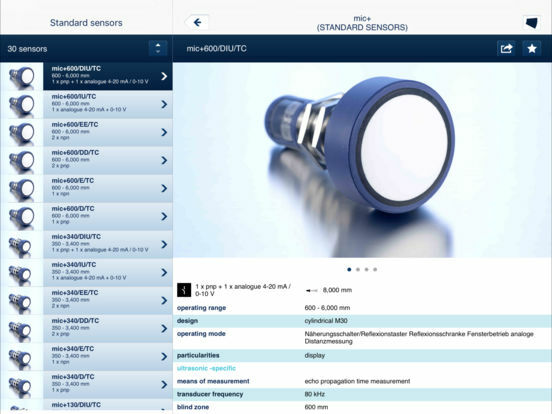 Sensor search: Choose from several hundred sensors by criteria: “sensor family”, “output”, “operating range”, “design”, “operating mode” and “further versions”. 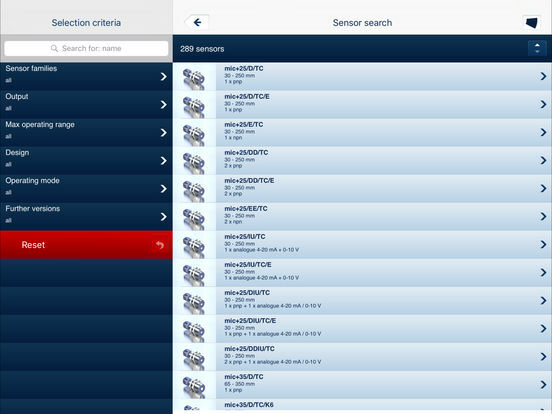 You can also access technical data of a specific sensor by using its catalogue description. Add sensors to your favorites within the app. 2. Sensor families: Become acquainted with sensor families and its associated sensors. 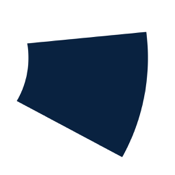 The app contains both highlights and detailed specifications and respective user manuals. 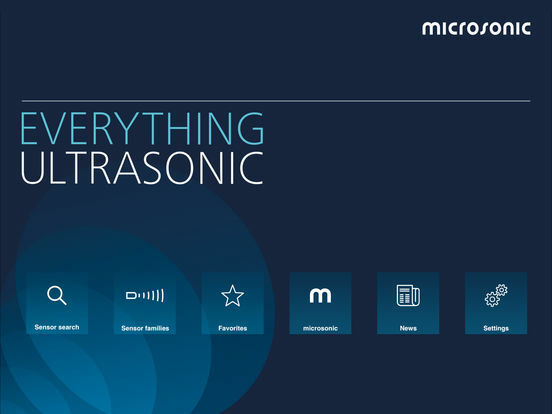 3. microsonic: Discover current product innovations and find out more about the world renowned specialists for ultrasonic sensors and about the fascinating world of measurement via ultrasound. 4. News: Discover the most recent products and find out more about microsonic and ultrasonic sensors. 5. Favorites: Maintain the list of your favorite sensors. 6. Settings: Choose language and make further settings (if required).